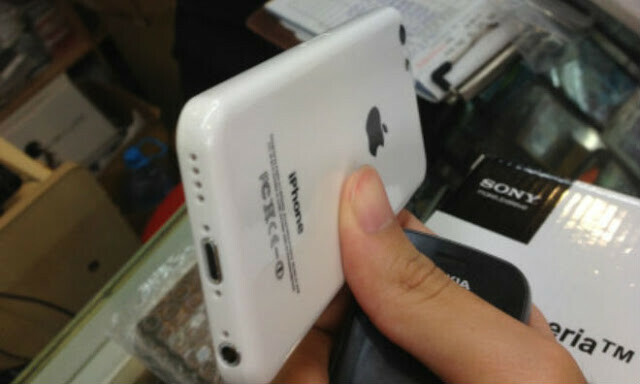 Apple iPhone Lite will be a modified Apple iPhone 5; new phones to be introduced September 18th? A published report on Friday says that the next iteration of the Apple iPhone, and a refreshed version of the current Apple iPhone 5, will both be introduced by Apple during a special event on September 18th. The version of the phone thought to be the Apple iPhone Lite, will actually be an iPhone 5 with cheaper, colorful shells, and a lower build cost thanks to the use of plastic in a few key areas. The price of the phone will be $99 on contract. 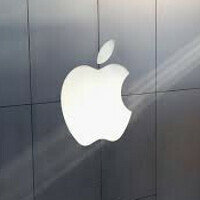 The new lineup for Apple will start with the Apple iPhone 4S replacing the Apple iPhone 4 as the lowest cost option. The refreshed iPhone 5 is next followed by the new Apple iPhone 5S or iPhone 6. The plan is for Apple to take on low-priced, attractive handsets made by its rivals. By using what is basically an iPhone 5 for this model, Apple will be keeping the specs high enough to compete, and using plastic in key areas will allow it to keep the unsubsidized price lower. This report dovetails perfectly with comments made by analyst Peter Misek of Jefferies, who says that the new low cost Apple iPhone will be priced at $300 to $400 and thus will be more like a mid-range model. According to the report, while the new phones will be introduced on September 18th, they will actually launch on September 27th. And the Galaxy S4 has top notch specs, yet lags as hell. don't troll it doesn't lag as hell..i have it, do you have it? Dude it lags. I have a iPhone 5, Galaxy Note 2, GS4 and a Nokia Lumia 920. I'm an Android Guy all day everyday but my bias towards Android has died down a bit since opening up to other operating systems. It lags. Still a great phone tho not perfect. note 3 should be better 3gb of ram. Apple is yet to have a phone or tablet with 1gb of ram. Its mostly the widgets that slows down android. But still android all the way. Sorry, I've had it. It does lag. Still a really great device but too many ram eating "S" features makes it lag. No lag on the Note 2 though. Just like a moped doesn't need a powerful engine to get you from your house to the corner market. It doesnt need quad core, but it needs damn good dual cores. iP4s already lags. Maybe iOS 1 through iOS 6. It's yet to be seen what the new feature rich iOS 7 requires in specs. Very high end, and high class device. and is a cheap iPhone that isn't a regular iPhone dumbed down even more! Aha! Apple giving a new definition to 'Low' cost. ...and it wants to compare with Lumia 520 you say?? The fact hes holding a Nokia phone as well in his hand makes me LOL... Honestly, if Nokia had a high end Android phone I would be all over it if only for the Camera! I don't catch your point.. there's billions of people who can't afford an iPhone or a computer for that matter. Who cares if you can buy an iPhone 5? I can too, that's why I had one. I believe that the iPhone "Lite" can sell millions, people who have feature phones or no phone at all will buy it. No, I mean that the day the iPhone lite will be out , the iPhone 5 price will drop significantly and their price will be very close to each other. So what will make the people buy the iPhone lite when the price difference between them is very little. People will purchase the lite because it will come in cool colors, be a new phone not a 1 year old phone (5). Some people like the look of the new plastic wrapped phone instead of the metal 5. If I was going to purchase an iphone and the lite and 5 were near in price, I'd pick the lite. At least the 5 looks nice. This looks like a cheap Chinese knockoff. This info seems like the last 50 articles I read about this same topic. Is anyone going to discuss anything WORTHWHILE about this phone, other than the fact that its going to be cheap plastic crap? What does it do, features, specs, etc. etc. Jesus only Apple could make a product crappier and get this much attention. As much as many criticize the Samsung models,and say they are "plascticy" this one looks like a baby toy. It looks like a low range, and cheap judging by the picture. I agree with that....Sony,Nokia and other brands look better.